Arnaldo Bocachica was all smiles after Lewisfield won the Not for Love Stakes. Photo by Dottie Miller. 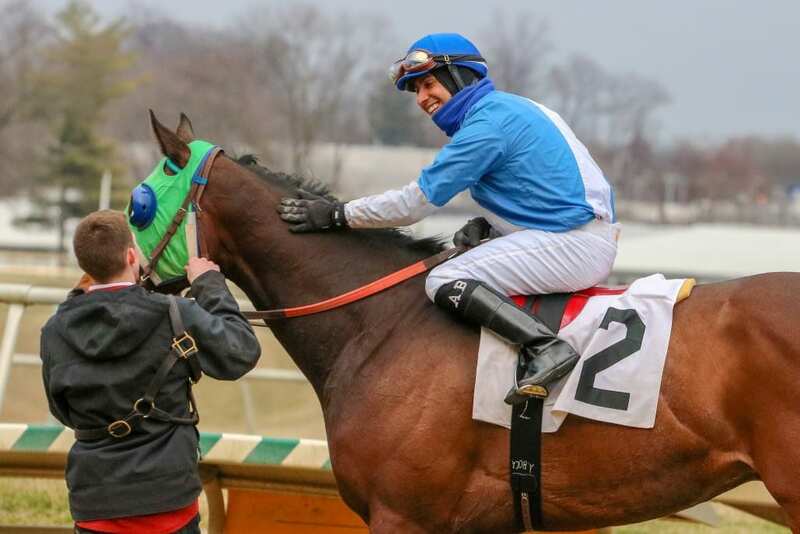 Jockey Arnaldo Bocachica has primarily honed his skills at Charles Town over the course of his career. But on Saturday afternoon he was hardly about to bypass the chance to climb aboard Lewisfield, a four-year-old Great Notion gelding trained by Jeff Runco for owner-breeder Linda Zang, in the $75,000 Not For Love Stakes for Maryland-bred or sired older runners going six furlongs. Bocachica has been the only rider to get aboard Lewisfield for his published workouts at Charles Town, as well his seven career starts. Saturday afternoon the tandem was — surprisingly — made the 3-2 favorite from post two in a group that included Struth, who had defeated Lewisfield in the Howard Bender Memorial over the strip in late December, and It’s the Journey, most recently third in the Grade 3, $250,000 General George Stakes. Less than a quarter-mile into the Not For Love, Lewisfield and Struth appeared to be in a match race as they dueled by the opener in 22.67 seconds and by the half in 45.06. Turning for home, Struth appeared to put a head in front of the Runco trainee. But inside the eighth pole Lewisfield responded to Bocachica’s serious left-handed urging and the Runco trainee edged away from that rival and then held safe the late bid of It’s the Journey to score by a length while stopping the timer in 1:09.13. It was the first stakes score for Lewisfield, his second straight tally to start the campaign, and his fifth victory from seven lifetime outings, all with Bocachica aboard, and the Zang homebred pushed his career earnings just past $160,000 and validated his rider’s decision to make the trip for one mount. Lewisfield finished third in his career debut last June in a two-turn maiden special weight event at Charles Town, but he came right back to win his next start by 20 lengths while getting the seven furlongs in 1:26.06. Runco then sent the Great Notion gelding to Laurel, and Bocachica joined them. The pair made four straight starts at Laurel prior to Saturday, winning three allowance races and running second in a state-bred stake. Lewisfield, a big, strong Maryland-bred out of the winning Crowd Pleaser mare Smart Crowd, probably won’t race back at Charles Town anytime soon, said Bocachica, who is currently third with 20 wins at the Jefferson County oval. 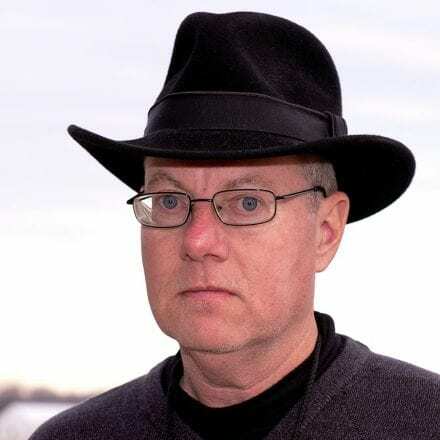 But you’d better believe that wherever Lewisfield goes, Bocachica will be there.